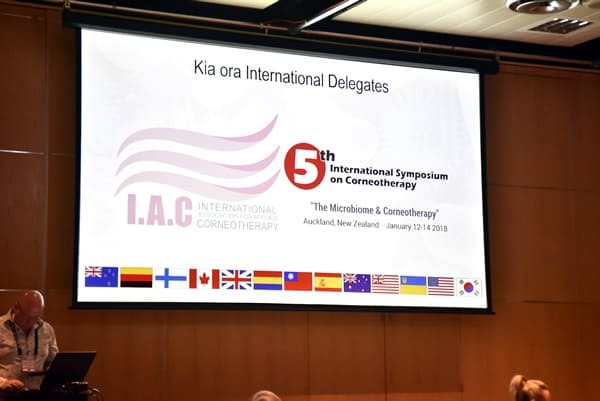 The hugely successful 5th International Symposium on Corneotherapy was held in Auckland, New Zealand over the weekend of the 12-14th of January 2018 at the Sky City convention centre. 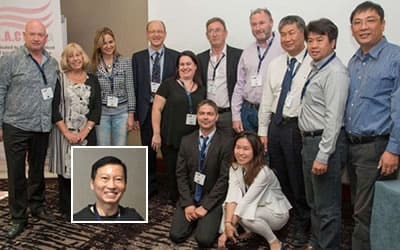 With a 25% growth over the 4th Symposium held in 2016 in Cologne, Germany; the 5th Symposium attracted members and delegates from 13 countries as far flung as northern Europe, Asia, North America and Australasia. The theme of the symposium was the Microbiome and Corneotherapy, a subject that is of increasing interest as both clinicians and dermatologists see more compromised skin conditions in clinic that are related to the disruption of the microbiome in some form. 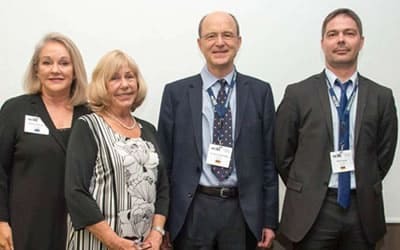 The presenters for the symposium were chosen to provide a valuable overview of not just the skin microbiome, but the microbiome of the body in general and the challenges faced in maintaining its homeostasis in the modern world. 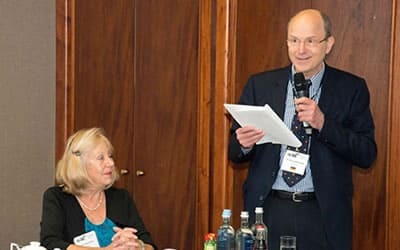 The Symposium began on the evening of Friday 12th January with the welcome dinner. During the delicious buffet of seafood, beef, chicken, vegetables and salads, we were entertained by the delightful Alana Goldsmith. 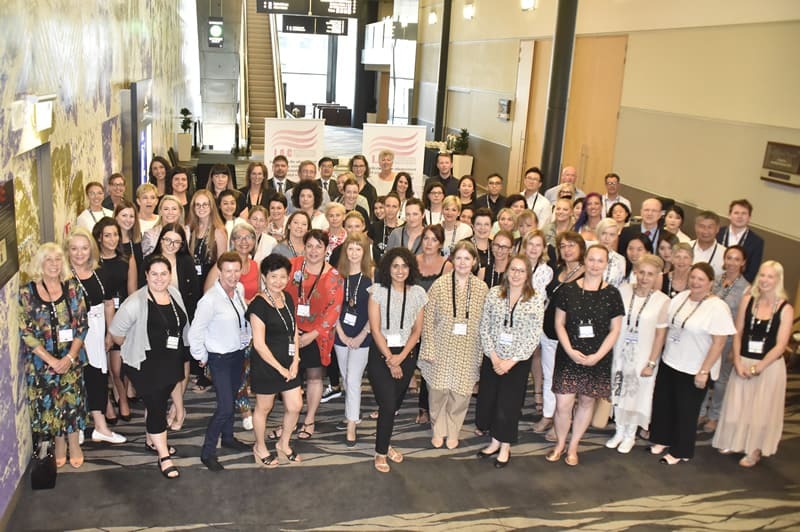 It was gratifying to see familiar faces, friends and colleagues catching up and new friendships and associations being formed with our first-time attendees. 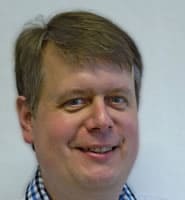 The following morning our symposiums first presenter was Dr Ben Roediger, who is a department head at the Centenary Institute of Cancer Medicine and Cell Biology, based in NSW, Australia. The institute’s motto is “Research for life”. Dr Roediger, who is an acknowledged expert in cutaneous immunology, presented about skin Inflammation and the microbiome. He began with a short explanation of how the samples of the inflamed skin are collected, followed by an overview of the micro-organisms present on the surface. We were then treated to amazing imagery of the various cells of the immune system in action against antagonists and bacteria. Dr Roediger went on to discuss allergy; and the increasing incidence of this in western society. We learned about the role of Immunoglobulin E (or IgE) and T helper cells in the immune system, and type 2 cytokine driven diseases. We also learned about the Atopic March (or Allergic March) and the progression to Atopic Dermatitis. We learned that the innate immune and differentiated T cells can produce other cytokines in response to cytokine stimulation, sometimes maintaining inflammatory responses after elimination of the instigating antigens. Dr Roediger concluded with a review of a GWA (genome-wide association) study of atopic dermatitis, and the minor mutations of some genes responsible for the development of the condition. The common theme throughout the presentation was the relationship between inflammation of the skin and the immune system. Our second presenter was Taiwan’s Professor Chia-Yu Chu, with his third appearance at I.A.C. symposiums. 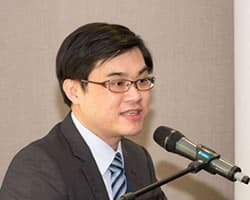 Professor Chu’s presentation was titled “Skin Microbiome and Dermatology”, with the theme of the presentation being the importance of understanding the role of the skin microbiome in maintaining normal skin immune function. Professor Chu began with an overview of the colonization of the skin by many species of bacteria, fungi, and viruses that form the skin microbiome, and the differences of composition between individuals. We learned about the use of next-generation DNA sequencing methods to better understand both the composition and potential roles of these microorganisms on our skin, and the exploration of the molecular processes involved in the influencing of skin immune function by bacteria. Attendees learned that when there is a change in relative composition of the different microbes on the skin, the microbial flora may enter a state of dysbiosis, or microbial imbalance; with a most recognised outcome being the development of conditions such as atopic dermatitis (AD). We learned that there is a direct relationship between increased colonization of the Staphylococcus aureus bacteria (or S. aureus) and the severity of atopic dermatitis, and the presence of other bacteria such as S. epidermidis, Corynebacterium bovis and Propionibacterium (P.) acnes contribute in distinct different ways to skin health. These influences vary and can lead to an increase in T cell effector function, vigorous Th2 (immune) responses, and the modulation of the CD4+ T (adaptive immune system) cell responses. Professor Chu’s presentation was peppered with visual metaphors that kept the topic light and entertaining; further enhancing his reputation as a great communicator at I.A.C. events. Following a short refreshment break, Dr David Cameron-Smith from the Liggins Institute at the University of Auckland took to the stage. 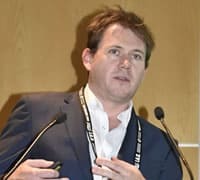 The theme of Dr Cameron-Smith’s presentation was titled “The amazing Gut Microbiome” and explained the relationship between the gut microbiome and the immune system. The presentation began with an overview of the trillions of microorganisms in the body and the roles they play in our health. We learned about the direct relationship of diet and the health of this microbiome. Of particular interest was the topic of the Gut-Brain Axis; the ability of the gut microbiome to change the balance of the inflammatory/immune response mechanisms and influence key brain processes that may lead to the modulating of complex behaviours such as sociability and anxiety. We also learned that research has shown that bacteria can influence the brain by synthesising neurotransmitters, and helping us to understand the relationship of the gut bacteria and the role they play in neurological and psychiatric diseases. Also of great interest was the relationship between the gut microbiome and obesity and other metabolic diseases. We learned about the impact of diet and lifestyle on the bacterial population of the microbiome, and the differences in microbiome health between “healthier” and “western” style diets that feature proteins derived from processed and refined grains. The conclusions were that the microbiome of the gut (and consequently the microbiome of the body) is influenced by diet, particularly in childhood where optimal diet can lead to bacterial diversity, and healthier gut microbiomes as adults. With the increasing understanding of the relationship between the gut microbiome and skin health, mood and memory; the message was that we should be more mindful of what we eat at all stages of life. Next, Chef Craig Rodger, the co-author of the book “ What the fat” took us through an exploration of food, and specifically what are termed “living foods” and their benefits to both health and the microbiome. We learned about the history and benefits of fermented foods, with a few examples of how to create simple recipes that can be easily made at home. We learned about the sources of living foods, and examples such as Kombucha tea, which is known for its effects on the digestive system, boosting of the immune system and the of increasing energy levels. We learned that the tea is made using “scobies” which is a symbiotic culture of bacteria and yeast. Chef Rodger provided a few examples of flavours and how to make and store the concoctions. Chef Craig told us about the effects of pasteurisation of foods and the loss of the biotic effects as a result, and explored the micronutrients produced by microorganisms, particularly probiotics.There was a brief review of the relationship of the gut/brain previously covered in Dr Cameron Smith’s presentation, and Chef Rodger concluded with the suggestion that the assembled group should try some of the concepts and recipes discussed to harness the power of bacteria. Following a hearty and tasty buffet lunch, another of our previous and popular I.A.C. presenters, Dr Ghita Lanzendörfer-Yu presenter the topic titled “ From the human genome to the microbiome”. Dr Ghita began with an anecdote about how some parts of the personal care industry have embraced the concept of the microbiome and are rushing to harness the relationship between the microbiome and healthy skin, with some major brands already introducing probiotics and bacteria in some form with a view that “friendly” bacteria will help correct skin microbe imbalances. Dr Ghita then explained about the human genome and how similar we are across races in our genetic make-up but remarkably different in our microbiome. We learned about the Human Microbiome Project, a US government initiative with the goal of identifying and characterizing the microorganisms which are found in association with both healthy and diseased humans. The studies revealed the lack of microbial diversity of the typical US citizen compared to less developed countries. We learned about the skin microbiome and the diverse types of colonisation in specific sites on the body and discussed the different beneficial and potentially harmful bacteria in residence. This was followed by the role bacteria play in malodour of the body and how we affect (sometimes inadvertently) our microbiome with the use of hygiene products; particularly the microbiota that is supposed to be present in healthy skin. We learned about the impact of personal care products containing preservatives on the residential microbiome in addition to cleaners, perfumes and sun exposure. We were introduced to the concept of the hologenome theory, that of a host (humans) plus all its symbiotic microbes that have assisted our evolution, including those from our environment. Dr Ghita concluded her colourful and entertaining presentation by raising the question: are our consumer behaviours eroding our natural microbiome? 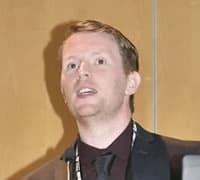 Our final presenter for the day was Dr Ben Roediger, who provided a supplement to his earlier presentation on cutaneous immunology by sharing with us some the amazing techniques and technology used by the Centenary Institute to provide imaging of the immune system in action. Ben began with a brief history of immunological imaging, touching on the milestones and timeline of development of the technology. 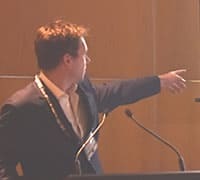 He then went on to explain the techniques used including the use of selective fluorescence of particular cellular structures to allow them to be shown as contrasting colours under the multiphoton microscopy. We viewed imaging taken from various organs, glands and structures responsible for the immune system along with some amazing time lapse video of macrophages moving to a site of response, migrating T-cells, neutrophils, mast cells and a disturbing view of a worm burrowing its way through living tissue. A truly fascinating and enlightening conclusion to the day’s activities. Following a short break, members returned to the room for the 5th I.A.C. General Assembly. (General Meeting) 15 topics were discussed and voted upon. This members only portion of the event is reported in the members section of the website. Later in the evening following the General Assembly, delegates assembled for an evening of social activity in the Obit revolving restaurant at the top of the Sky Tower. 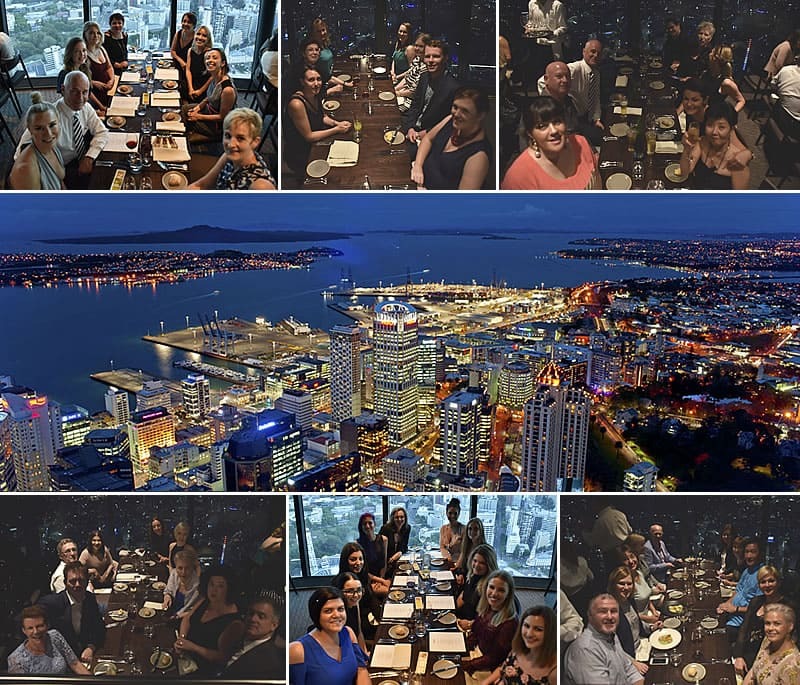 As well as spectacular 360-degree panoramas of the city, the Hauraki Gulf, Waitakere ranges and beyond, we were treated to a delicious 3 course dinner that catered for all tastes. 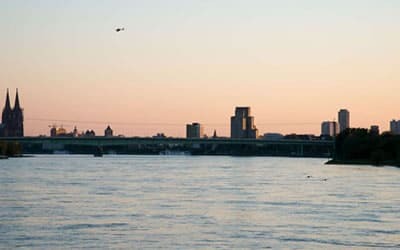 As the evening wore on, the view changed from dusk to night, with the vibrancy of the city in full display including cruise ships in the harbour and a spectacular sunset. The following morning’s schedule began with an overview of the events of the previous day and evening by our secretary, Margaret Walsh-Shearer, who then introduced our first presenter for the day, Rachel Robertson. Rachel spoke about the effect on preservative on the microbiome, with her presentation based on first-hand experience not only as a developer of progressive skin care, but as a subject of her own experiments in to the effect of preservative-rich formulations on her own skin. Rachel began with a brief overview of the purpose of the microbiome on the skin’s surface and the role it plays in barrier defence. We then looked the parameters of the six-week study, and the baseline data, including all relevant contributing factors, lipid and hydration measurements, and a skin flora swab. Detailed pre-study imaging showing skin health and vascularity were shown. We reviewed the formulations used prior to the study for cleansing, toning, serums and oils etc. with particular note of the minimal amount of preservatives in them. In contrast, the products used in the study contained over 10 commonly used preservatives, with multiple present in nearly all of the products, despite how innocuous they were claimed. Rachel then shared the results of the study in the form of an overview of changes in the skin along the study timeline, along with detailed imaging of the changes that showed increasing impaired barrier function and increased inflammation as the study progressed. Data from the conclusion of the study was then shared, with a significant increase in EFAD and impaired enzyme activity evident. There were also changes in skin flora; with some microbiota absent. Rachel summarised the results by showing that the preservatives did have a negative effect on her own microbiome and, subsequently overall skin health. We concluded by looking at some statistics of the quality of preservatives used as skin care ingredients, with the disparity in cost between widely used commercial preservatives and more natural alternatives. We also learned about the difficulty that formulators/developers of corneotherapeutic skin care face when trying to have products manufactured as many facilities do not possess the aseptic processes required to reduce the use of preservatives. 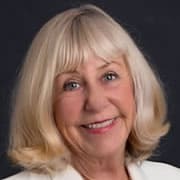 Our next presenter was Australia’s doyen of light based treatment education, Trudy Fleming, from the Fleming Institute, Melbourne. The theme of Trudy’s lecture “Does laser affect the microbiome?” was an interesting topic that explored the chemical and thermal effect that light based treatments such as laser and IPL have on the microbiome. Trudy’s entertaining presentation began with an overview of the electromagnetic spectrum and how light interacts with the skin to produce specific effects. We learned that while many treatments with light-based devices are primarily for pigmentation and rejuvenation, there is an increasing number of applications for interventions/treatments that target bacteria. Trudy shared with us the use of photochemical reactions as part of two bacteria related conditions, acne, and onychomycosis with lasers. We then learned the role that light-based devices have in Endodontics and gynaecology, both where the is a requirement to limit bacterial proliferation. 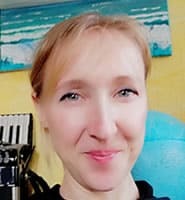 Trudy summarised the effect that light-based treatments have on the microbiome of various parts of the body, and how the chromophore in the specific bacteria in these sites is the target of the light energy. After our morning break, Dr Hans Lautenschläger PhD, the I.A. 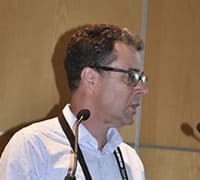 C’s vice chair and a leading organic chemist from Germany gave the assembled group a review of the current stage of corneotherapeutic formulation development. Dr Hans (as he is commonly addressed) first provided us with a little of the history of corneotherapeutic formulation; specifically, the milestones created by Dr Albert Kligman et al. We learned about the definition of a corneotherapeutic formulation, its compounds and composition. We learned about compounds and components used in corneotherapeutic formulations with properties that could be classified as cosmeceutical; those that have pharmaceutical effects, including antioxidants, vitamins, inflammation inhibitors, UV filters and melanin inhibiting agents. Rene began with a brief review of the skin microbiome from a Corneotherapy perspective, and the healthy commensal microflora that populates the skin surface. Rene discussed the relationship between the skin barrier defences and the microbiome, particularly skin conditions and disorders that have both disrupted barrier defences and eco systems on the skin surface. We learned about the diagnostic cues of a impaired barrier defence system and the strategies to restore to homeostasis. 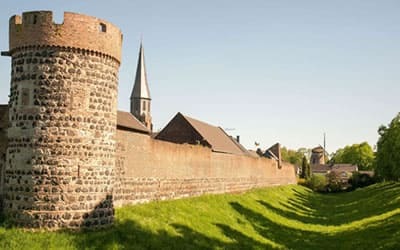 Using the key principle of Corneotherapy “from the outside-in” we reviewed the steps from re-establishing the barrier defence systems and normal microflora, the regeneration of the three lipids that form permeability and reduce TEWL, and the re-establishment of the correct skin pH. We learned that it was important to ensure the first three lines of skin barrier defences were adequately repaired before moving on to deal with other skin concerns. 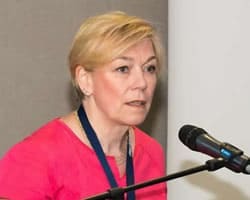 Our final speaker for the event was our Madame Chair, Florence Barrett-Hill, who’s presentation was entitled “The relevance of the microbiome for Corneotherapy”. Florence began by posing the question of the world microbiome; how is the earth, or Gaia coping with the significant changes in the world microbiome, particularly over the last century of constant international movement of both people and their microbiomes. Florence talked about the resilience of regular international travellers who as a whole, generally have a more diverse microbiome and usually stronger immune systems. We learned that this is not the case for a majority of displaced or refugee travellers, particularly those traveling and living in large groups such as in refugee camps. There appears to be a microbial dysbiosis becoming evident in many of these camps, with contributing factors of changes in diet and malnutrition. 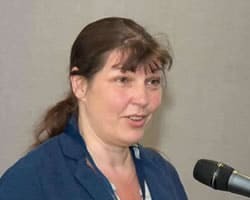 Florence discussed the relationship between the microbial dysbiosis and the increasing instances of eczema and dermatitis in peoples who historically have had low instances in their homelands. Another question was raised regarding our own environments and behaviours; could our environments, diet and lifestyle contribute to gut and skin microbial dysbiosis? Of course, the answer is yes- we had learned a great deal from our esteemed speakers over the previous 2 days, each one reinforcing the relationship between a properly functioning body and mind-and the microbiome. The event concluded with a brief review of each presenter’s contribution with a round of thanks to all, including the event organisers, followed by the obligatory Mexican Wave. The board and event team would like to thank our presenters, members and delegates for making the event the great success that it was. Thanks also to our volunteers and the team at Sky City for looking after our every need and making our visitors welcome. A very special thanks go to our sponsors whom without, these events would not be possible. See you in Bonn, 2019! The board of the I.A.C. 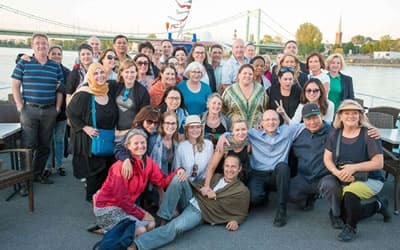 are pleased to announce that the 4th Symposium on Corneotherapy held over the weekend of the 6th-8th May 2016 in Cologne, Germany was an outstanding success, bringing attendees from across the globe to hear a roster of top speakers discuss all things Corneotherapy. This year's symposium had the theme Adjunct Corneotherapy and so the presentations covered many interesting topics. At the reception dinner on the evening before the symposium, the group welcomed both our new and existing members to the event. Many had not seen each other since the last event in Taiwan in 2014 and it was great to see associates and friends reacquaint themselves. A lovely meal followed and we were treated to musical entertainment by a string and piano trio. The following morning we gathered in the auditorium for the morning session. 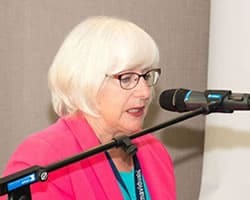 After the opening addresses by Madame Chair Florence Barrett-Hill, Vice Chair, Dr Hans Lautenschläger, and Secretary Margaret Walsh-Shearer, the event first speaker took the podium. 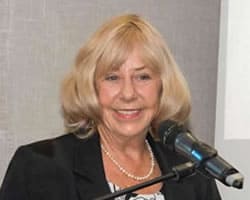 Dr Ghita Lanzendörfer-Yu, PhD began the proceedings with a informative and entertaining presentation on the changes in both the understanding of the skin and the ingredients in skin care products over the last 150 years. Dr Lanzendörfer-Yu took the audience on a journey through from the earliest occlusive formulations through the understanding of the skin barrier and bilayers, and on to skin biotypes and the future of skin care. We were taken on a review of the composition of NMF and the skin barrier lipids, reinforcing the role of ceramides and how their absence can be correlated to pathogenic skin conditions. We also learned about the genetic and pathogenic factors associated with atopic dermatitis and psoriasis. Dr Lanzendörfer-Yu concluded with a very valid statement; with what we know about the skin microbiome serving as the first barrier of our skin, and what we understand about where dietary or bacterial metabolites intersect with the immune system, both our skin cleaning/caring routines and quality of food intake should be questioned in future. There were many questions from attendees, and this capped off a truly engaging and compelling presentation to kick start the symposium. Our next speaker was Christiane Uhl , a skin diagnostic device expert from local Cologne based Courage & Khazaka, a world leader in skin diagnostic equipment. 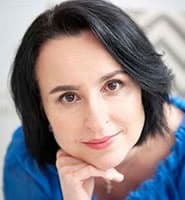 Christiane began with why the modern skin treatment therapist needs to have detailed knowledge about skin types and influences on skin conditions to be used in conjunction with a detailed consultation procedure, ideally using some form of skin diagnostic devices. Christiane explained the industry standard measurement techniques used in skin diagnostic procedures for ascertaining skin health and condition, and the various technologies employed. We learned about the importance of ascertaining skin moisture and sebum levels, and the health of the acid mantle along with determining skin's biological age by examining skin elasticity. We also learned about special cameras used to determine degrees of hyper pigmentation and rosacea. Christiane concluded with a overview of the software used in conjunction with the various measuring technologies to obtain a record of the skin's health at a particular time, and documenting any improvements while using the data for comparative studies. 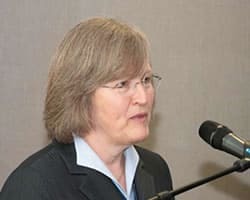 After a short break, the board welcomed Professor Christel Muller from the Technical University of Braunschweig, Germany, to the podium. Prof Muller's topic was about Saponins. Not simply about their use in skin care, but a enlightening education about their uses and properties far beyond their more commonly understood detergent-like properties; from antioxidant to drug delivery systems. Prof Muller began by explaining what saponins are, their various sources and their properties. We learned about their pharmacological and immunological effects including wound healing, antiviral, antimicrobial and antifungal activity, as well as the anti-inflammatory properties of some types. Dr Muller concluded by telling us about the promising activity of some saponins anticancer activity, and their effects for the development of adjuvant vaccines. A truly eye-opening and informative presentation. The I.A.C. 's own resident organic chemist, Dr Hans Lautenschläger, PhD was next. Dr Lautenschläger's topic was a subject he knows well; Nanodispersions. 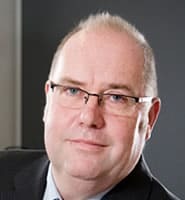 (Also known as Nanosuspensions, nanoemulsions, microemulsions, liposome's and vesicles) Dr Lautenschläger began with an overview of the efficiency of nanodispersions when compared to pharmaceutical active agents, and consequently their ideal role as a base for cosmeceuticals. We learned how the use of nanodispersions opens a whole new way of applying skin care formulations with greater efficiency and comfort, and the fact a majority can be biodegradable. He explained how nanodispersions are the perfect choice for some individually tailored skin preparations. Dr Lautenschläger also addressed the perceived negative aspects; that of systemic toxicity of non-degradable nanoparticles. He did point out that regardless of their biodegradability, nanodispersions offer high bioavailability at low doses of active agents with an irritation threshold lower than for conventional emulsions. We learned that nanodispersions allow a reduction or even elimination of additives such as emulsifiers, spreading substances and penetration enhancers, making formulation much simpler, less prone to irritation and rise to the "wash out" effect. Another important factor we learned that because the nanodispersions are produced in sterile forms, the reliance on preservatives is reduced or eliminated. Finally, Dr Lautenschläger reviewed examples of active agents used on a variety of skin conditions, their nanodispersion type and action. An interesting and informative presentation. Our last presenter before lunch was Professor Chia-Yu Chu, MD,PhD from the National Taiwan University Hospital. 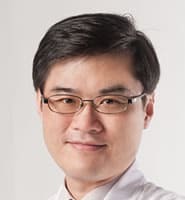 Prof Chu was a previous presenter at the 3rd Symposium, and his topic was the use of DMS base cream with fluticasone propionate (FP) as a treatment for atopic dermatitis. Prof Chu began with an overview of the disorder, and the established treatment solutions being topical corticosteroids of different strength, focusing on immune intervention. Prof Chu explained the creation of a study using a 0.05% concentration of FP in a DMS base compared to compared to FP in conventional bases such as propylene glycol, sorbitan sesquioleate, wax, paraffin etc. he explained the reason DMS was chosen was that the goal was to make the structure and composition resemble the natural skin barrier. The study was to determine the efficacy of the FP when in a more physiological carrier. The study is to be over a four week period for each subject, with clinical evaluations in conjunction with measurements of SC hydration and TEWL. Prof Chu explained the study was ongoing, with the results and conclusions to be presented at the next I.A.C. Symposium. Following our delicious lunch, (Thank you to the Hyatt team) we took our places for the afternoon session, with Prof Burkhard Kleuser, PhD, our first presenter. 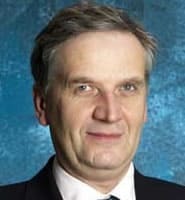 Prof Kleuser is from the University of Potsdam, Germany. Prof Kleuser's presentation was on the subject of Sphingolipids and their influence on skin barrier and cornification disorders. Prof Kleuser began with an introduction to Sphingolipids, explaining their structure and chemistry and how they are essential structural components of the skin. From this we learned that ceramides play an important role in the formation of Sphingolipids, and consequently ceramides are essential for epidermal barrier function. We were treated to a detailed and highly visual explanation of the different ceramides and Sphingolipids, and also that Sphingolipid derivatives such as ceramides and sphingosine-1-phosphate (S1P) influence many aspects of the skin including keratinocytes and dendritic cells of the immune system. 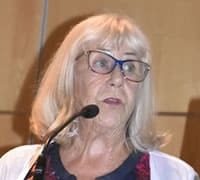 Prof Kleuser explained the relationship between Sphingolipid disfunction and skin disorders such as atopic dermatitis, revealing the mechanisms of the disfunction. 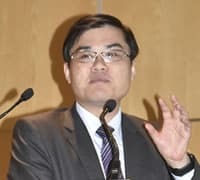 He concluded by explaining that therapeutic approaches based on topical administration or systemic delivery of sphingolipid-metabolites or sphingomimetic molecules may be beneficial in avoiding pathophysiological conditions of the skin. Prof Kleuser's presentation was both spirited and informative, and a brisk start to the afternoon's proceedings. Next was Dr Martin Weisser, PhD, a cosmetic chemist from local Manufacturer KOKO GmbH. Dr Weisser's subject was safety reports; specifically the requirements for corneotherapeutic products. First, we learned about the legislation that required cosmetics manufacturers in Europe to implement a comprehensive safety assessment to ensure that the product is safe for human use before it was placed on the market. Dr Weisser then explained the structure, requirements and parameters of the safety report required for each product. We discovered that there are many complex equations and formulas used in conjunction with testing procedures to determine the safety. We learned that many factors are taken into consideration including toxicological safety factors, physicochemical stability, microbiological safety, metabolic degradation, percutaneous/dermal absorption routes and much more. 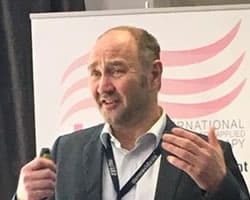 Dr Weisser's presentation left us confident that the reputation of true corneotherapeautic products can be assured when they are manufactured and tested to the same standards as pharmaceutical products. Our final presenter for the day was Dr Imke König, MD, the spa director of the Luxury Spa Schloss Elmau, Germany. 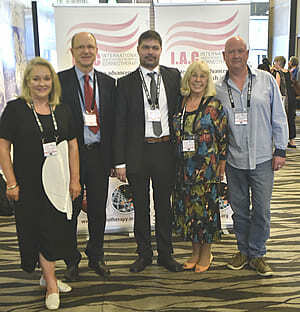 Dr König's presentation was a subject close to the heart of many of the I.A.C's membership; Transparency beyond marketing and advertising claims, and the understanding of the INCI lists of cosmetic ingredients. 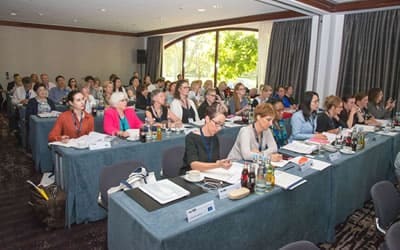 Dr König began with introducing us to the LOHAS consumer,(Lifestyles of Health and Sustainability) and their needs that makes the role of the cosmetics/skin care seller or skin treatment service provider more meticulous. This is because they seek far more information about the skin care products they use and the treatments they undertake than normal consumers. We learned that in order to satisfy this growing sector of the market that we need to understand more toughly the INCI ingredients in skin care and cosmetic products, particularly when there is so much misinformation from manufacturers and marketers. 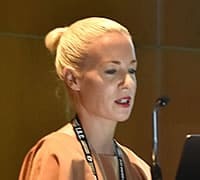 Dr König explained the various regulations in different parts of the world and consequently the dilemma of skin care products containing ingredients banned in other parts of the world. She explained the various approaches people use to try to obtain correct and valuable information about the INCI list. We learned about indentifying ingredients such as paraffin's, silicones alcohols, checking colorants, allergens, sensitizers, preservatives, surfactants, chelating agents etc. 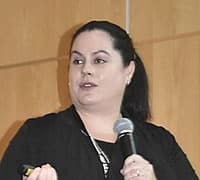 Dr König's presentation was common ground for many of the attendees and was well received, with many questions from both attendees and other presenters. After a short break, the I.A.C's general Assembly commenced. A full report including the minutes will be available to members next month. 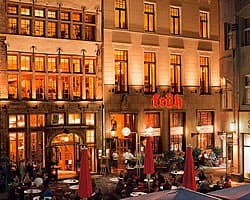 The first day of the program concluded at 6.30pm with the group taking advantage of the pleasant spring evening to take a short walk across the landmark Hohenzollernbrücke bridge for a dinner in the spacious cellars of the iconic Früh am Dom restaurant, home of the famous Kölsch beer. Day two of the Symposium began with a brief address and review of the proceedings so far by I.A.C. Secretary, Margaret Walsh-Shearer. Our first speaker for the day was Prof Markus Böhm, MD, from the department of dermatology, University of Münster, Germany. 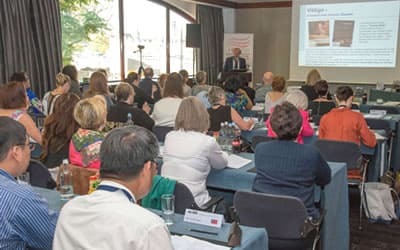 Dr Böhm's presentation was on the subject of Vitiligo, a condition of significance for the skin treatment therapist memberhip who encounter this condition in their practices. 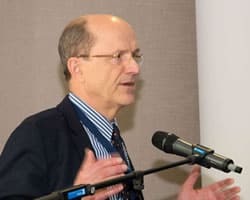 Dr Böhm commenced with a overview of the types of vitiligo, the prognosis and pathogenesis of the condition, briefly exploring several current hypotheses that have disclosed the presence of mutations in several key regulator genes controlling immune functions in non-segmental vitiligo. Dr Böhm explained that with current knowledge, the cause of vitiligo is best summarized as a convergence ("convergence theory“) of several pathobiologic key events (most of which are outlined above) that make melanocytes vulnerable to cellular stress (e. g. induced by biochemical, metabolic, neuroendocrine abnormalities). As a consequence an immune attack is mounted that will lead to destruction of epidermal melanocytes resulting in various degrees of depigmentation depending on the activity of the disease. 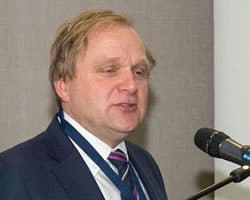 Dr Böhm went on to discuss the various treatments currently employed, but made special note of treatments employing UVB at 308nm with topical corticosteroids or calcineurin inhibitors, and UVB at 311nm in conjunction with Afamelanotide, a superpotent melanocortin peptide. A fascinating and informative start to the morning. Following Prof Böhm was our Madame Chair of the I.A.C, Florence Barrett Hill, an independent dermal science educator from New Zealand. Ms Barrett-Hill's presentation was on another topic of importance to the membership- Rosacea. 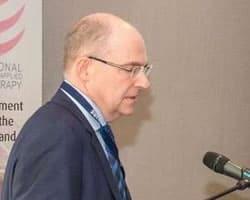 The presentation began with an overview of the different types of Rosacea and their physical appearance, noting that was perhaps one of the most misdiagnosed dermotoses of adults. We learned that rosacea can be safely classified as skin barrier disorder, with the now understood defence systems of the innate immune system being triggered by a variety of agents. Ms Barrett-Hill walked us through the leading causes, the biophysical events occurring and explaining how each plays a role in the development of the condition. We learned about the various receptors, enzymes, peptides and hormones responsible for the development of the condition. She then expanded on the four different sub-types of rosacea and variants. Ms Barrett-Hill concluded with best practice approaches to treatment pathways, with specific emphasis on maintaining client/patient compliance to their personal role in the treatment program. After a short refreshment break, Dr Matthias Aust, a plastic and cosmetic surgery specialist from Bad Wörishofen, Germany, who delivered his presentation on the subject of dermal needling. This was another subject of great interest to the skin therapist sector of the membership. 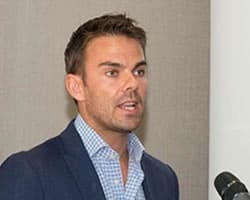 Dr Aust began with be explaining to the members that as the demand for less invasive, highly effective cosmetic procedures grows, plastic surgeons must explore and develop new treatment options; with particular emphasis of the reduction of scar formation. We learned that transforming growth factors (TGF) play a major role in the formation of scars, with TGF -β appearing to promote minimal scarring during the regeneration and wound healing process.Dr Aust then went on to explain that percutaneous collagen induction (dermal needling)is a modality that brings us closer to this ideal of regeneration of the skin because of the expression of the TGF -β as part of the process. Dr Aust detailed the best practice procedure and equipment , post operative care, and advantages/disadvantages. He then showed us many examples of various treatments across different areas of the body, discussing results, limitations and complications. Dr Aust then explained the rationale for the adjunct application of vitamins A and C topically post needling; concluding that since the introduction of percutaneous collagen induction therapy almost 20 years ago, it has evolved into a simple and fast method for safely treating wrinkles and scars as opposed to ablative laser treatments. There were many questions from the membership and fellow presenters, and much post event discussion on this topic. Next up was Dr Sofía Ruiz del Cueto, from Madrid, Spain. Dr Ruiz del Cueto, who is a dermatologist and plastic & aesthetic surgeon was speaking about how corneotherapy can help as an adjunct to fractional laser treatments. Dr Ruiz del Cueto began with a brief overview of fractional ablative lasers and the difference with conventional types. She then outlined the key factor in the good outcome is the skin's recovery and good wound healing processes, reducing side effects such as PIH and downtime. 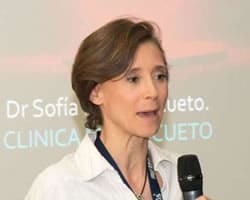 Dr Ruiz del Cueto noted in her experience that corneotherapy had proven to be an essential tool in her clinics practices as a follow up protocol, as they sought solutions to reduce the TEWL post treatment. Dr Ruiz del Cueto commented that during the last 12 months the clinic had introduced phosphatidylcholine based cosmetics as a laser follow up protocol , resulting in a 35% reduction in down time and patient compliance and satisfaction increased by 60%. There were many questions from the members, and a reinforcement of the value of corneotherapeutic approaches as adjunct therapies both pre and post ablative and non ablative methodologies. 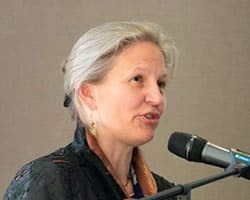 Our final speaker for the symposium was Alexandra J. Zani, an independent educator and author from the United States. Ms Zani's topic was a review on studies where adjuvant corneotherapy has been used in treatments and interventions from lasers to oncolgy aesthetics. 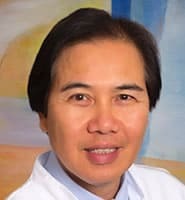 Ms Zani began with a brief explanation of the term adjuvant refers to in relation to medical and surgical procedures, and that is has been shown to be highly beneficial when administered for pre and post skin care such as when combined within the context of plastic or reconstructive surgery. Ms Zani then outlined the various procedures typically adapted to each specific intervention, including Pre-post surgery, wound care, and post pigmentation treatments. She then shared some thought-provoking observations concerning trends that promote a greater perspective when it comes to aging, health and longevity, and a global paradigm shift when it comes to wellness and embracing a more preventative approach to treating skin conditions and health issues. 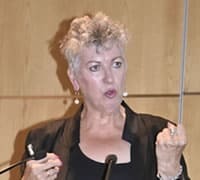 Ms Zani concluded by briefly speaking about the growing change moving from conventional and traditional care of health into a more proactive philosophy of integrative medicine and philosophies of prevention; a shift in which corneotherapy can play a role. 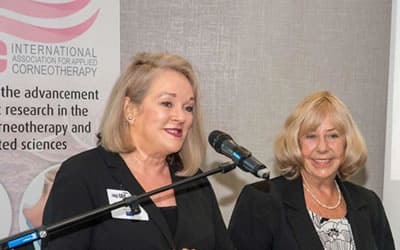 The symposium concluded with thanks and closing statements from madame Chair Florence Barrett-Hill and vice chair, Hans Lautenschläger; in which the announcement that the 5th symposium on corneotherapy would be held in Auckland, New Zealand in January 2018. Special thanks go to our sponsors; (below right) Pastiche Training, Metrodermo SL, KOKO Kosmetikvertrieb GmbH & Co, Dermal Sytems inc, ID skin care Ltd, High Grade Pharmeceutical Ltd, VIP Koreana, DMS International Ltd, and Megavalis UAB for their financial and material support. Without our sponsors, these events would not be possible. 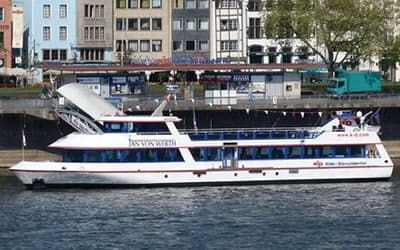 The post event social gathering was a leisurely boat ride down the Rhine to the historic town of Zons, where we enjoyed a guided tour before boarding our boat back to Cologne where we indulged in a sumptuous buffet on our way. 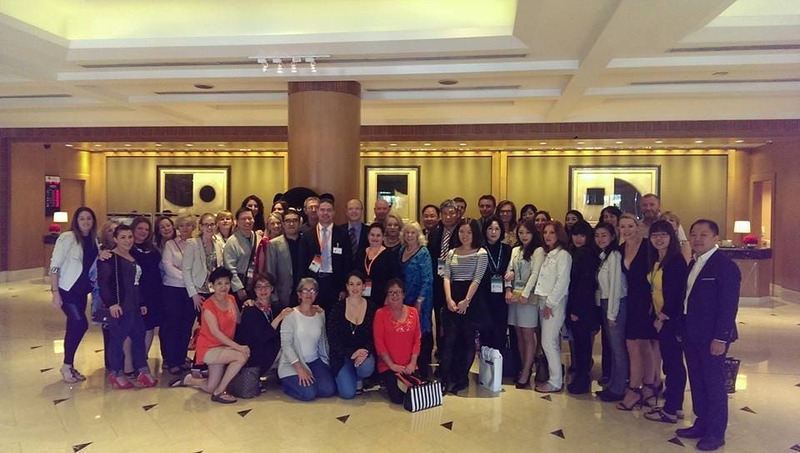 The 3rd International Symposium on Corneotherapy 2014 was a great success! The event attracted over 85 participants from 14 countries around the world.